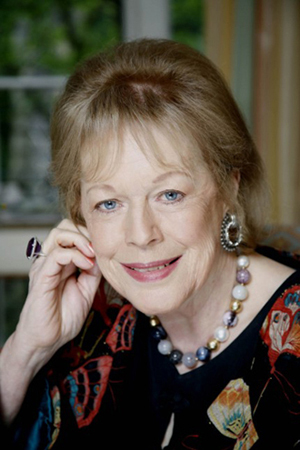 It’s not every day one emerges from a cubicle in the ladies’ toilet to find Lady Antonia Fraser waiting to use the facilities. But this is the month of the Manchester Literature Festival and so we must expect the unexpected. Now in its sixth year, the MLF is rightly regarded as a festival heavyweight. As varied and engaging as the better known Cheltenham and Hay literature events, sell-out talks for 2011 have included such literary luminaries as Colm Toibin, Michael Frayn and David Lodge. Last night was the turn of Lady Antonia, noted historian and wife of the late Harold Pinter. Now aged 79, she has lost none of her glamour and charm. Whether reading extracts from her new memoir of life with her dramatist husband or recounting stories about the London glitterati, Lady Antonia enchanted the audience. “I wanted to say to the world, this is what the other man was like,” she said of her impetus to write ‘Must You Go?’. And so she embarked on a “voyage of discovery” by re-reading the diary she had kept since the 1960s, a chronicle of her life with Pinter from the moment she first glimpsed him in a Charlotte Street restaurant to the day he died following a long battle with cancer. Perhaps the most moving moment of the evening was her explanation of the book’s title. On leaving a dinner party in 1975, during which she hadn’t uttered a word to Pinter, she went to congratulate him on his new play. “Must you go?”, he said. The rest is history. One of the immense joys of the MLF is its myriad of venues. Antonia Fraser on Harold Pinter was held in a cavernous space at the Whitworth Art Gallery, a stark contrast to last week’s captivating talk by biographer Claire Tomalin which took place in the sumptuous Banqueting Room at Manchester Town Hall. At first the Whitworth seemed like an odd choice for a literary evening. Modern art canvasses glowered down from whitewashed walls while Lady Antonia reflected on intimate moments during a life where she and Pinter “lived harmoniously as writers”. In fact, the setting was perfect. Pinter was, after all, a thoroughly modern playwright. But, as Lady Antonia reminded everyone last night, writing plays was just one of Pinter’s extraordinary talents. Poet, screenwriter, actor, director, Pinter excelled at every genre. One need only read ‘It Is Here’ to realise the depths of his genius. This was one of Lady Antonia’s favourite poems, although she confessed she was unable to read her most treasured piece of verse as it brought tears to her eyes. She went on: “[As far as the memoir is concerned] I can’t read the end and I wrote it. It upsets me too much.”. ‘Must You Go?’ is on sale now. Must you read it? You must.